There are always some interesting myths swirling around about promotional products. Some marketers can spot these myths from a mile away and don’t give them any consideration. But others are quick to latch on to the misconceptions. They become wary about using promotional products. They doubt the effectiveness of promos and sometimes write them off altogether. When marketers put stock in the myths they hear, they’re missing out. Big time. In this blog post, we shatter nine common myths about promotional products. Read on for the myths and why they’re busted. 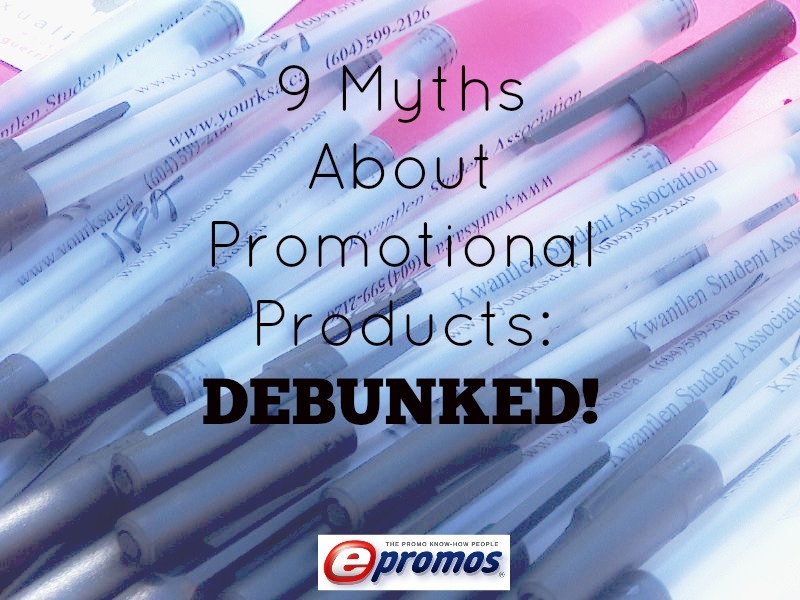 Myth #1: People don’t really use promotional products. There are so many branded items out in the world, people simply don’t have use for them all. They can’t possibly use all the logo tumblers, t-shirts, and tote bags that marketers fling their way. Right? Wrong. People love free stuff. And we mean love it. 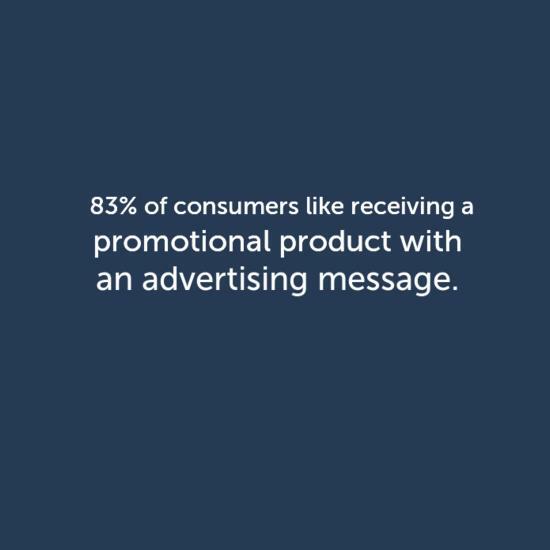 Eighty-three percent of consumers like receiving a promotional product with an advertising message, according to Promotional Products Association International (PPAI), and 53% of consumers use a promotional item at least once a week or more. So go ahead – give people what they want. Unleash the promos on them. Just make sure they’re useful to your audience and relevant to your brand. Read this blog post on the do’s and don’ts of using promotional products. Myth #2: You can’t measure the ROI of promotional items. It’s impossible to know if all of your branded swag is really working. You hand out hundreds (or thousands) of bottles of hand sanitizer at a tradeshow. You freely give out tote bags at a career fair. You’re up to your ears in promotional pens – and you’ve been giving them out for years. You can’t keep track of all of these giveaways and pinpoint their value – or at least that’s how it might seem. Promotional products are completely (and easily) trackable. You just have to take the time to do it. You’re measuring the ROI of your other marketing efforts – don’t let promotional items fall to the wayside because you’re unsure how to track their effectiveness. 1. QR codes (or, at the very least, unique URLs). Create a landing page for your promotion and print the URL or a QR code (here’s more on how to do this) on your promotional giveaways. Voila – you can now track the hits/leads/sales that came directly from the products. See how simple that was? If you’d rather speak to prospects than drive them to a website, just put a twist on the first idea by printing a new phone number on your promotional products. It’s easy to measure how many calls came in as a result of the giveaways. When it comes to tracking promotional products, a CTA (call-to-action) is a must. Why? Because a CTA makes it super simple to measure the effectiveness of your giveaways. Print an offer directly on your promotional products, and you can see the kind of traffic it generates. Make your CTA simple and appealing, and recipients will take you up on your offer. Myth #3: Promotional products are too expensive. Many marketers get a little sweaty-palmed when it comes to budgets. 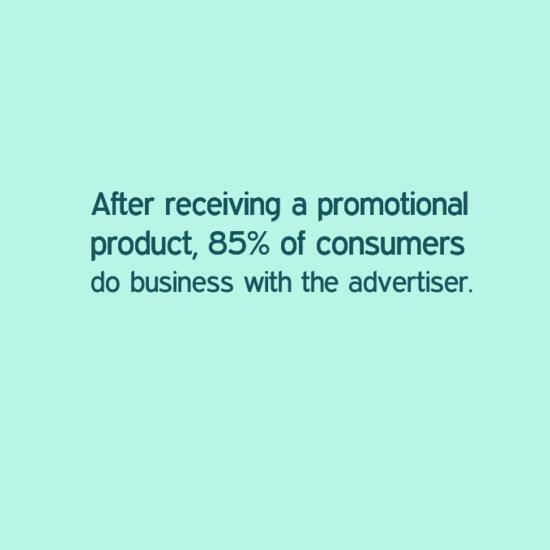 They think: “I barely have any money to promote my business … how can I afford promotional products?” As a result, promos are sometimes seen as frivolous, unnecessary. The thing is, though, it’s not about the products – it’s about researching, planning, managing, and tracking. You’re not just throwing money into a bunch of branded merchandise and hoping for the best – you’re making an investment in building your brand. Promotional products are one of the most cost-effective forms of advertising. They have a lower cost-per-impression (CPI) in the U.S. than prime-time TV advertising, national magazine advertising, and newspaper ads, and they have a similar CPI to spot radio and online ads, according to the Advertising Specialty Institute (ASI). 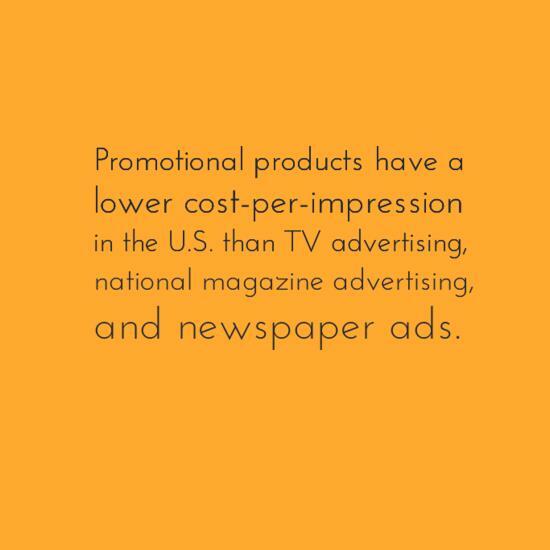 The average CPI of a promotional product is just $.005, according to ASI. For a small investment, you can get the same type of exposure as businesses with bigger budgets. Your marketing dollars go a whole lot further with promotional products than with other forms of media. If you think you don’t have the budget for promo items, just take a look at these sale items. Myth #4: Cheap is the way to go. When it comes to promotional products, marketers sometimes have a one-track mind. All they want to do is get their logo in front of as many people as possible. To accomplish this, they seek out the cheapest products, never pausing to think about the impact on their brands. Price should never be your only consideration. The products you choose are representative of your brand. Pick cheap promos, and that’s how your business will be viewed. Cheaper is not always better. You’re purchasing branded merchandise – not a new phone plan. 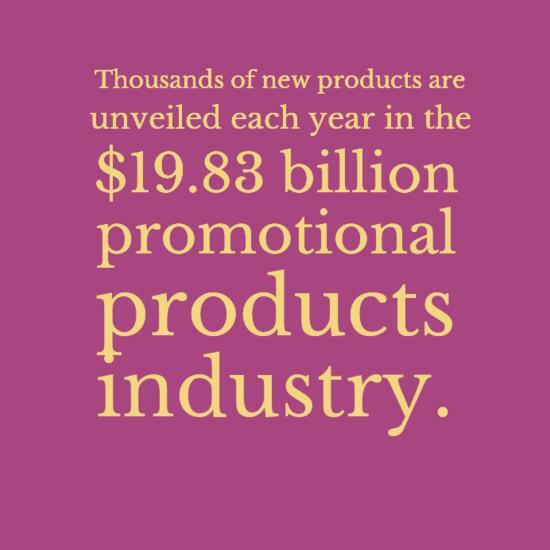 Promotional products make a lasting impression on recipients. 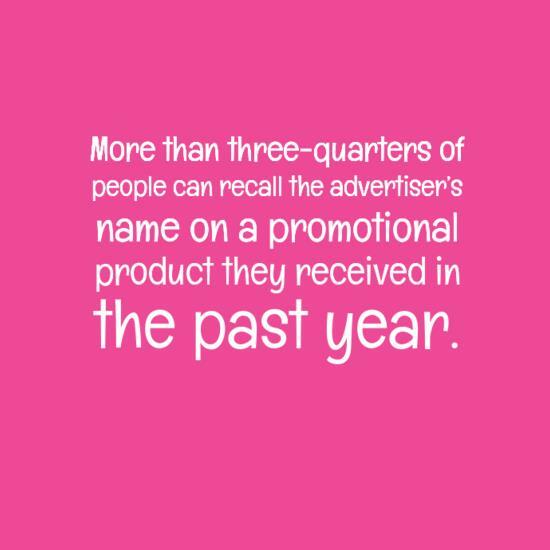 More than three-quarters of people can recall the advertiser’s name on a promotional product they had received in the last 12 months, according to PPAI. What you give people sticks in their minds. Do you want your brand to be associated with cheap throwaway items that will likely end up in the trash, or do you want people to associate your brand with useful, innovative promotional items that are relevant and targeted to their needs? Don’t go cheap just to save a few bucks up front. It doesn’t do anything to help your brand. Myth #5: It’s better to invest in mainstream media. TV ads get all the glory. Just think about the buzz that Super Bowl spots generate. Don’t forget about radio spots and print ads. Marketers go to great lengths (read: invest heaps of money with ad agencies) to churn out ads in these old-school mediums. Well, guess what. The tides have turned when it comes to traditional forms of advertising. Mainstream media is swiftly losing its appeal – and its effectiveness. PricewaterhouseCoopers predicts that traditional media advertising will decline by a 1.5% annual rate through 2017. To get your message across today, you have to be personal. You must focus on the individual. Promotional products allow your brand to get so up close with customers that your logo is in the palm of their hands. But promotional products stick with them. 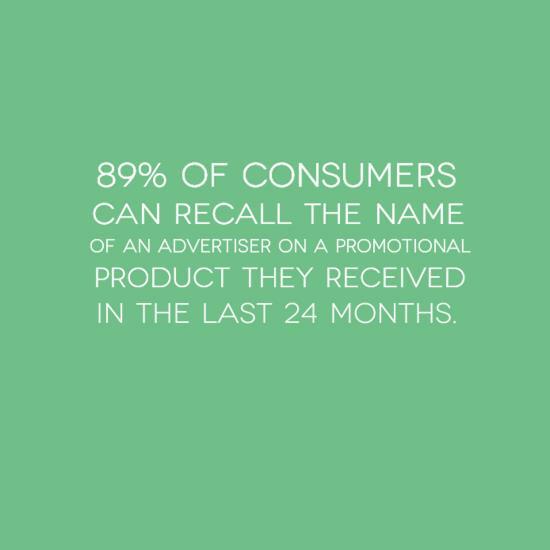 Eighty-nine percent of consumers can recall the name of an advertiser on a promotional product they received in the last 24 months, according to PPAI research. Customers can fill up that custom coffee mug every morning and be reminded of your bakery. They can slip on that promo t-shirt and think back to the fun times they had at the company retreat. Promotional products are incredibly personal – and that’s something that mainstream media just can’t touch. Myth #6: All promotional products companies are the same. Promotional products companies all do the same thing – they put logos on products, and then pass them on to customers for various campaigns. It doesn’t really matter which company you work with as long as you get the promos you need. At first blush, that’s how it may seem. But actually, not all promo companies are created equal. 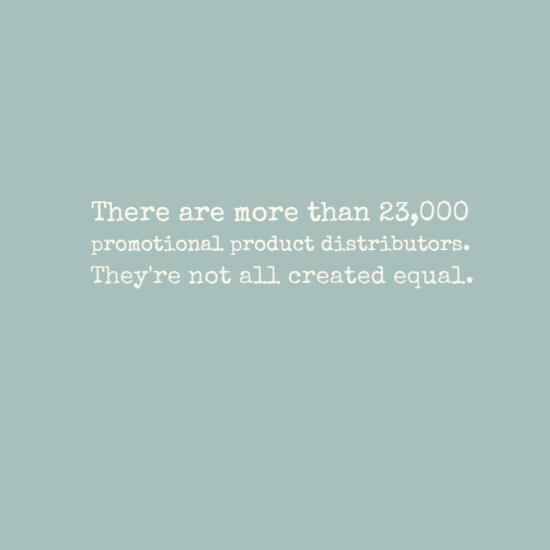 There are more than 23,000 promotional product distributors, according to PPAI, and they’re all different. Many promo companies are small mom-and-pop shops or even one-person shops. They don’t have a dedicated art department, production department, or merchandising team. They’re doing it all themselves. As a result, there’s a good chance your promotional products won’t look as great as they could – or even arrive when you need them. Not all promotional companies know promotional products, either. They don’t know the different factories producing the items, and they’ve never felt or used the products. When selecting a promotional products vendor, think about it like a partnership. You want a specific person handling your order from start to finish. You want him or her to answer all of your questions and be there for you in a pinch. Here’s a good write-up on how to pick a promotional products company. Give it a read before choosing your promotional products partner. Myth #7: There’s nothing new in promotional products. Considering that promotional products have been around for hundreds of years (the first commemorative buttons trace back to 1789 when George Washington was elected President), it’s easy to think that everything has been done before. That there’s nothing new and fresh. The 53rd largest tradeshow in the United States is The PPAI Expo, which in January 2014, featured more than 1,400 exhibiting companies in 1.1 million square feet of exhibit space. Nothing new in promotional products? It’s quite the opposite. Myth #8: Promotional products won’t work for my business. You like the idea of using promotional products, but you’re just not sure your business is cut out for them. You think they cost too much, they’re unoriginal, or any of the myths we’ve just busted above. It’s easy to doubt the effectiveness of promotional items – especially if you’ve never put them to work for your brand. Promotional products can work for any brand and for any campaign – whether you want to drive tradeshow traffic, boost brand awareness, or achieve something else altogether. After receiving a promotional product, 85% of consumers do business with the advertiser, according to PPAI. Promotional items also help you lock in new customers. Eleven percent of advertisers, according to PPAI research, increase their business even among those who hadn’t done business with them before. It pays to use promotional products. They not only get your logo in front of your target audience, but they drive recipients to do business with your company. That’s powerful stuff. 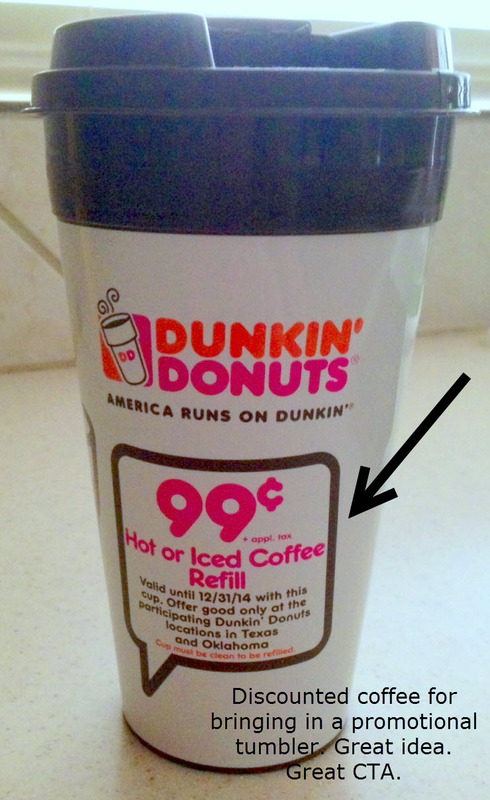 Myth #9: Promo items don’t last. Promotional products sometimes get a bad rap for being cheap throwaway items. (Go back to myth #4 to review why cheaper isn’t better.) They no sooner get doled out than they’re dumped in the trash or shoved to the back of a drawer. At least, that’s what some marketers think. Promo items get your brand long-lasting exposure – and the research backs it up. 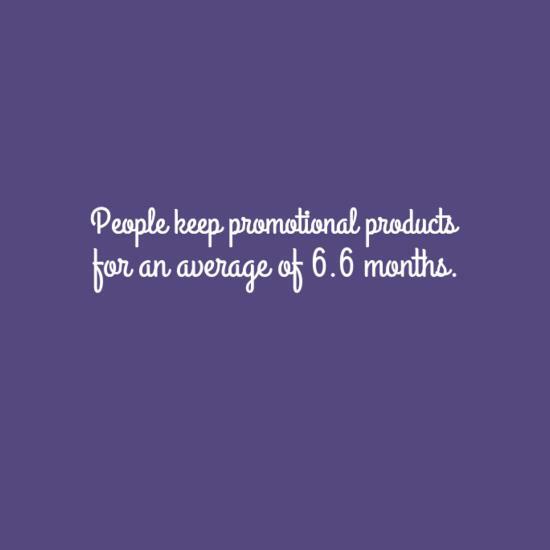 Data from ASI shows that the average amount of time people hang on to promotional products is 6.6 months. That’s more than half a year with your logo front and center. Did any of your beliefs about promotional products go out the window after reading this post? We hope so. Promotional products work – whether they’re used alone or integrated with other media. They get your name out there. They let people know who you are and what you stand for. When you’re building your brand, that’s what it’s all about. Are there any other promotional product myths you’d like us to debunk? Tell us in the comments below.